So. There are two men in my life that I want to talk about today: my Grandpa Eggebrecht (my mom’s dad) and my Uncle Tom (my mom’s brother and my godfather). Aside from being related, we have a number of things in common. We’re all writers of sorts, each with our own blog. Neither of us is a dog person. At all. We’re all passionate about our faith and our family, with good food and good wine falling in line right behind those two! One area where we differ? ONIONS. These two men hate onions. Whether they’re caramelized, topping burgers, or featured in a salad, I can’t get enough of them. I searched The Sweets Life for the word onion and 213 of my over 750 posts came up! Another way I recently enjoyed onions? Grilled! There’s something fantastic about pieces of onion, hot off the grill with the slightest bit of char. 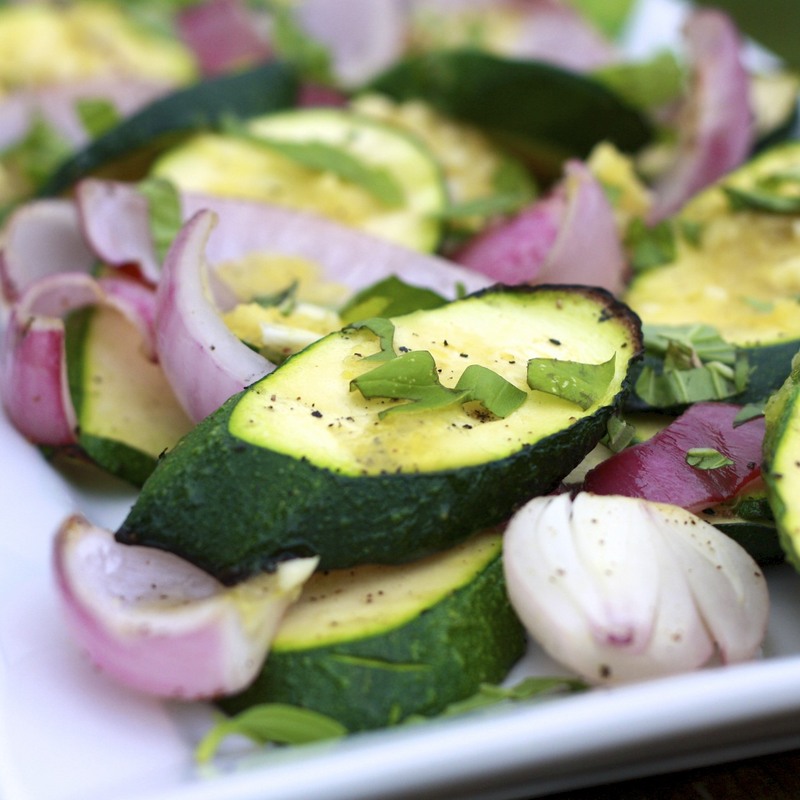 Here, grilled along with zucchini and topped with a lemon basil vinaigrette, it makes for an incredibly tasty and versatile side dish. We had it with the infamous grilled salmon with peach tomato salsa and summer tomato, feta, and basil galette, but this would be great with just about any main dish. 1. Heat grill to medium. Brush onions and zucchini rounds with 1/4 cup olive oil and season liberally with salt and pepper. 2. Grill vegetables 9-10 minutes each side, until nicely caramelized. 3. In a small bowl, whisk together garlic, lemon juice, zest, mustard, oil (2 tbsp), and a pinch of salt and pepper. 4. 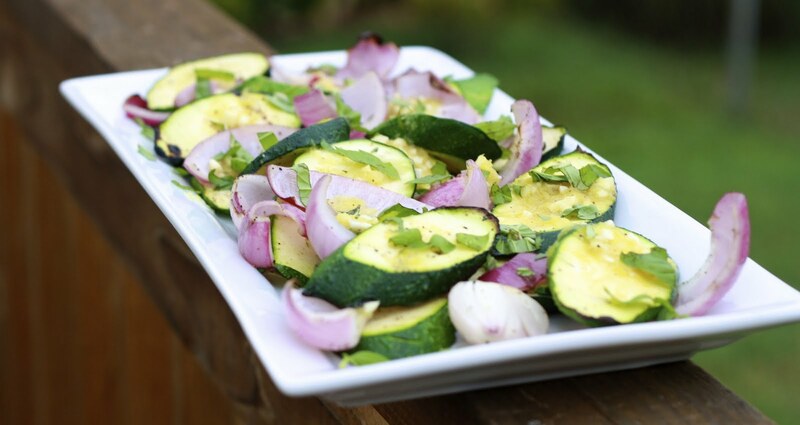 Place grilled vegetables on a platter, drizzle with dressing, and top with chopped basil.